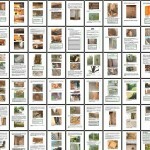 DIY Termite Inspection Manual - Yes, you can do it! $49.50 Plus postage and handling. Learn How to Inspect Your Home for Termites. Fed up with high priced inspections that don't tell you anything you didn't already know? Would you prefer to check your own home for termites anytime you like and save hundreds of dollars on expensive termite inspections and reports? Then you've found the answer right here. We have made available a comprehensive 135 page training manual in large A4 format. It's packed with over 200 full colour detailed images for easy identification of termites and better understanding of their behavior. "How do I know if my home has termites?" It is written in layman's terms for everyone. Not only does it contain information for absolute beginners, but it also has information to help the person who already has an above average understanding of termites. The manual clearly outlines and teaches you the basics of termite inspections just like the professionals do it, because it was written by a professional with over 15 years experience and hundreds of termite inspections to his credit. It contains unique information that cannot be found anywhere else on the internet or in bookstores. It reveals many secrets that only top professionals in the termite industry know. Apart from showing you how to inspect your home for termites, it is also crammed with useful tips outlining some simple, easy measures that you can take to reduce the risk of termites getting inside your home in the first place. Please consider: This manual can potentially save you from thousands of dollars in preventable termite damage while providing you with peace of mind that your house is safe. It's a bonus that you'll also learn many ways to prevent termites getting into your home. How to find termites inside your home. Checking in your roof void. What to look for in your yard. Where to look, and how to recognise a termite nest. Tips on reducing the risk of termites getting into your home. What tools you will need and how to use them. A comprehensive check list for when you inspect your home. Why consider learning DIY Termite Inspection? Save literally hundreds of dollars by reducing the number of professional inspections you have each year. Learn how to recognise the early signs of termite activity and save thousands of dollars in repair bills. Learn how to make sense of your next professional termite report - understand what it says and what it doesn't say. Learn how to assist your professional inspector. Learn what questions to ask, or understand what it is he is actually doing. Ensure that your professional inspection is thorough. (We hate to say it, but there are many 'cowboys' out there who pass themselves off as professionals. Learn enough so that you can spot a 'cowboy' and avoid being ripped off or given a shabby report). Learn to recognise signs of trouble before you purchase your next home and save money and wasted time on pre-purchase reports on homes that have obvious termite problems or high risk. This manual is not intended to replace your regular professional termite inspection and report, nor is it designed to replace a professional pre-purchase report. 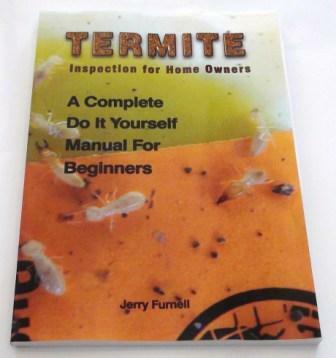 If you do decide to purchase this manual and follow the directions within, it should help you to discover termites inside your home earlier than if you waited for your regular termite inspection. However some people will be more thorough than others and many other variables may also affect whether you are successful at finding active termites or not. It is well known in the pest control industry that even the most vigilant inspection carried out by the most experienced and professional inspector, might still not be able to detect termites in some circumstances. The early alert of termites in your house gives you extra safety and could save you money on repair bills. The tips on termite prevention and risk reduction methods could also save you money. The information contained in this manual should be used wisely and with discretion. The aim of the manual is to provide you, the home owner with useful information that can be incorporated into the overall strategy to reduce the risk of termites damaging your home. Click the picture above to see just a handful of the pages from the manual (277KB). Alert you to any current occurrence of active termites in your home. This will be revealed during the inspection process. Alert you to any areas of previous termite damage in your home that have yet to be repaired. Also revealed during the inspection process. Alert you to any new termite arrivals in your home in the future. If you are looking to purchase a home it will help you to find a new home that has a lower risk of termites and avoid homes that have obvious high risks. The price for the printed manual is $49.50 inc GST plus shipping and handling to anywhere in Australia. Overseas freight is extra - see the freight calculator on the Buy Now page. To purchase your copy online simply click here. Alternatively you can order by phone. Call 1800 056 055. Jerry Furnell has been carrying out termite work and termite inspections since 1989. His QLD PCO licence number is 02143 and is fully endorsed including Timber Pests. 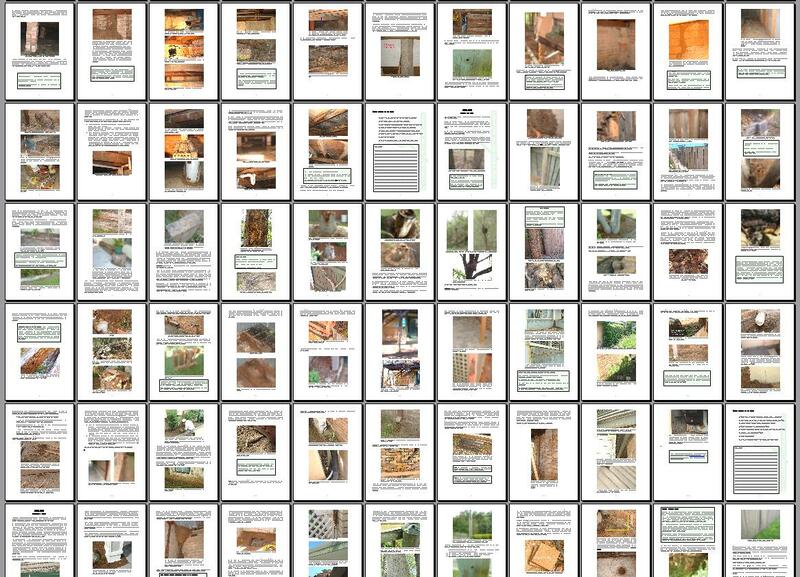 The majority of the images in the book have been taken from actual termite reports conducted by Jerry over many years. He is the inventor of the Green Termite Bait™ and the Green Termite Bait System™ as well as the Ec2c Termite Window®.